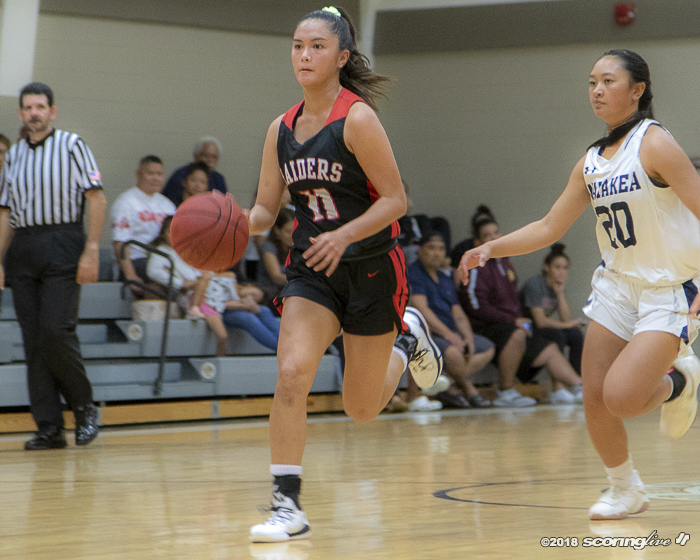 PALOLO — Taylor Wu scored 11 of her game-high 24 points in the first quarter to lead Iolani to a 66-55 semifinal win over Waiakea in The Invitational at Sacred Hearts Friday night. The Raiders (8-0) never trailed and led the Warriors (3-2) by as many as 26 points late in the third quarter. Wu made three 3-pointers — all of them in the opening quarter — and made 10 of her 18 shots from the field. Lily Wahinekapu shot 6 of 11 on field goals, including 2 of 3 from behind the arc, to add 14 points. 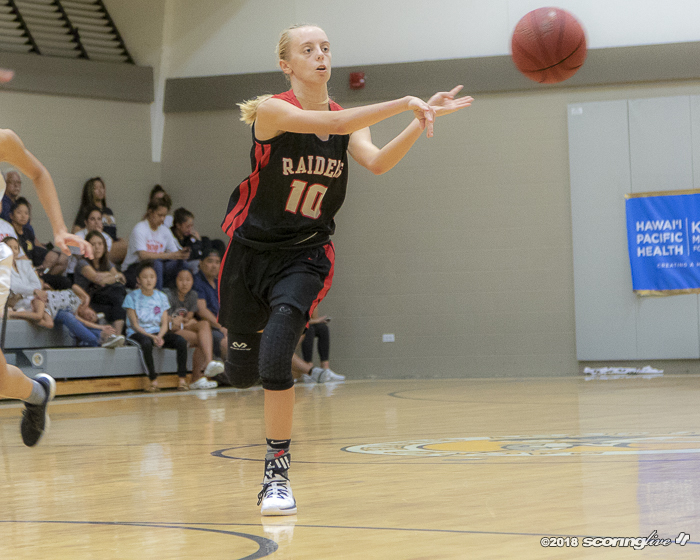 As a team, Iolani shot 26 of 62 from the field (41.9 percent) and 7 of 24 (24 percent) on 3-pointers. 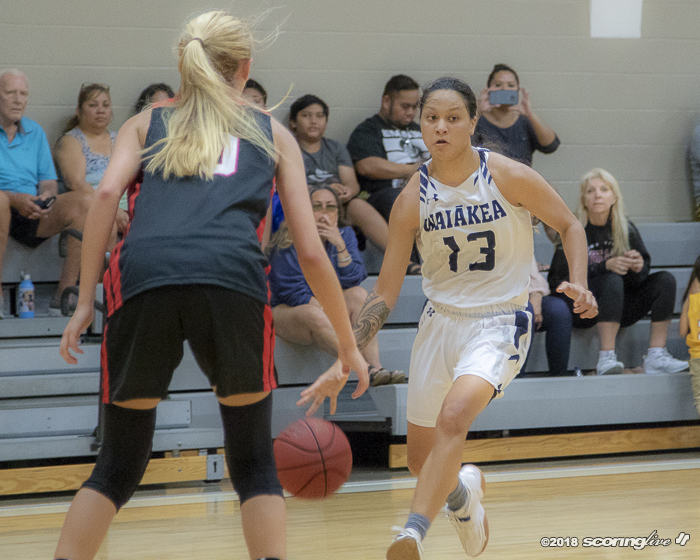 Alexsandra Huntimer and Jovi Lefotu chipped in eight points apiece and Alexis Huntimer had an all-around solid game with five points, seven rebounds, five assists and five steals. 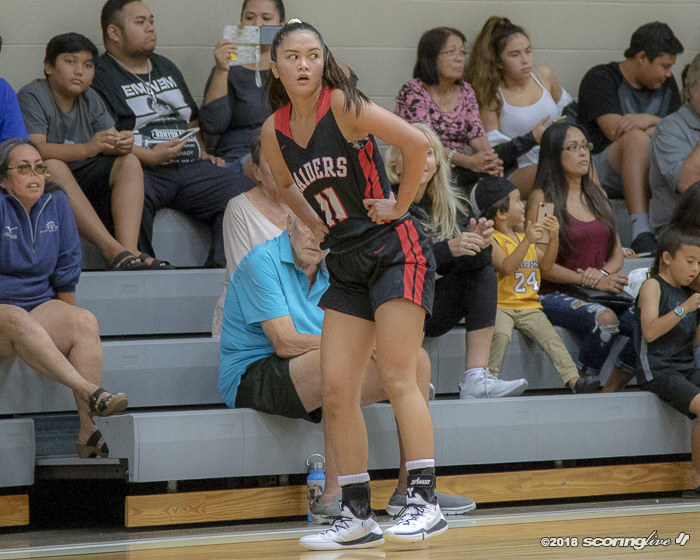 The Raiders opened the game with a couple of treys from the right wing by Wu, followed by five straight points from Wahinekapu on a layup in transition and a 3-pointer to jump out to a quick 11-0 lead. They stretched it to 25-10 with another Wu 3-pointer — this one from the right corner — just before the end of the first quarter. 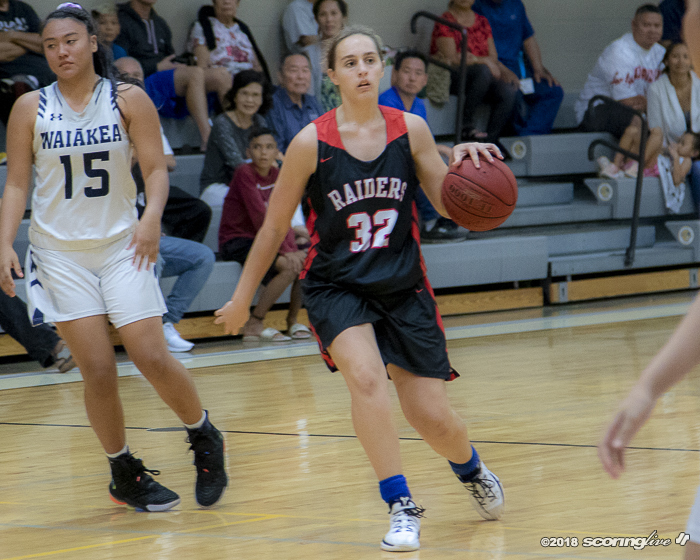 Iolani led 35-17 at halftime and built on it in the third quarter. Wu scored seven points during a 10-5 run to open the second half for the Raiders and finished one point shy of her season high in points scored. 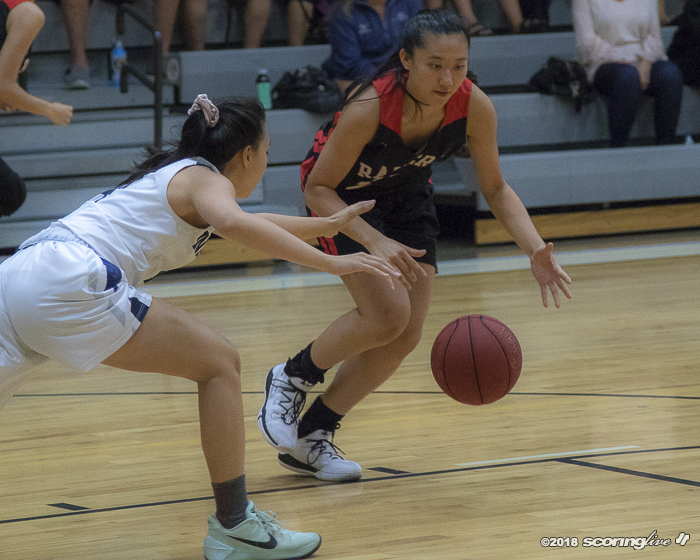 "I think she did a great job," Iolani coach Dean Young said of Wu, who earned Third Team All-Hawaii honors last year. "She did a great job getting us off with those early 3s, pushing in transition, sharing the ball, so she's been a good leader for us." 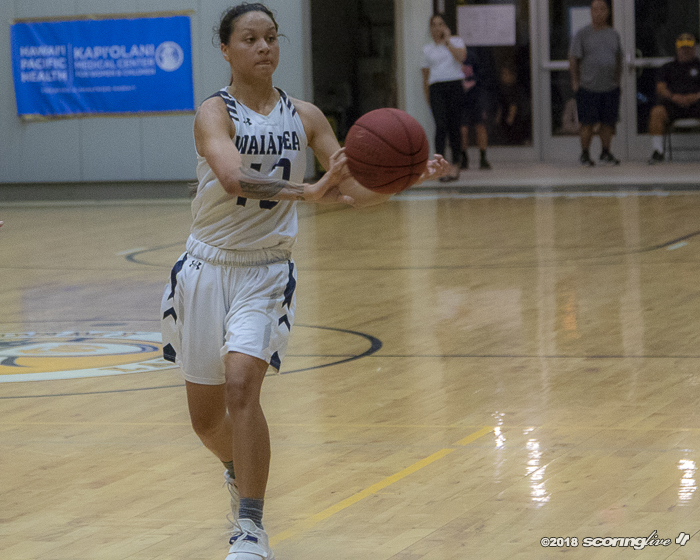 Later in the stanza, Wahinekapu drained a 3-pointer from the left wing and Lefotu put away a second-chance bucket to extend the lead to 52-26 with 2:06 left in the third quarter. 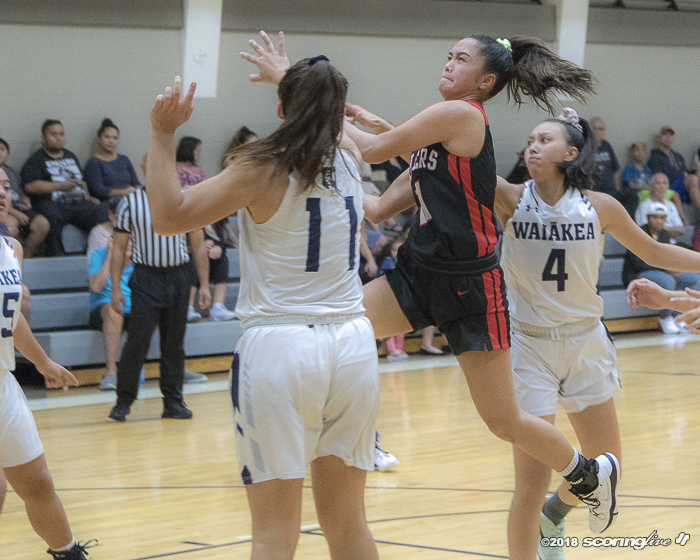 Waiakea used a 12-2 run in the fourth quarter to cut into the Iolani lead and pull within 60-48 following back-to-back treys from Kelsie Imai and Sara Iwahiro and a steal and layup by Tayvia Cabatbat. Zaelynn Lui-Cabinatan's basket with 1:12 to play cut it to a 10-point game at 62-52, but the Warriors got no closer. Keeli-Jade Smith scored 12 points off the bench to lead the Warriors. 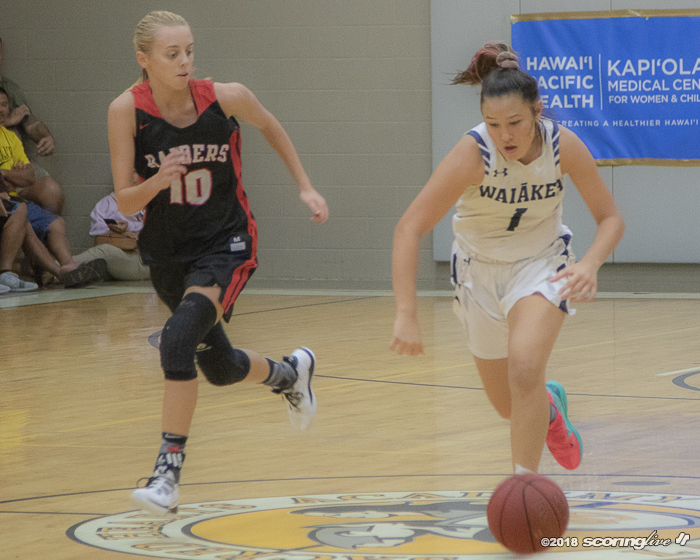 Imai recorded a double-double with 11 points and 13 rebounds, but the Third Team All-Hawaii selection was hampered with foul trouble for much of the contest. 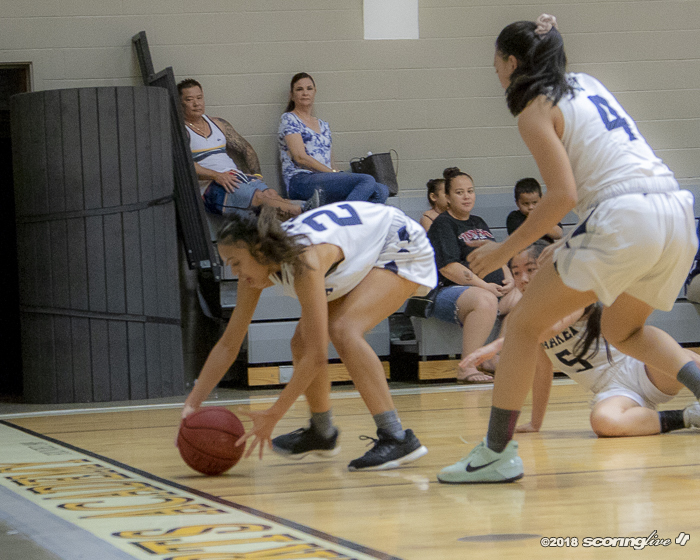 Imai picked up three fouls in the first quarter — the third coming on an illegal screen — and sat on the bench for much of the second and third quarters. She had just one point through three quarters and did not hit her first field goal until there was 4:14 left in the game. 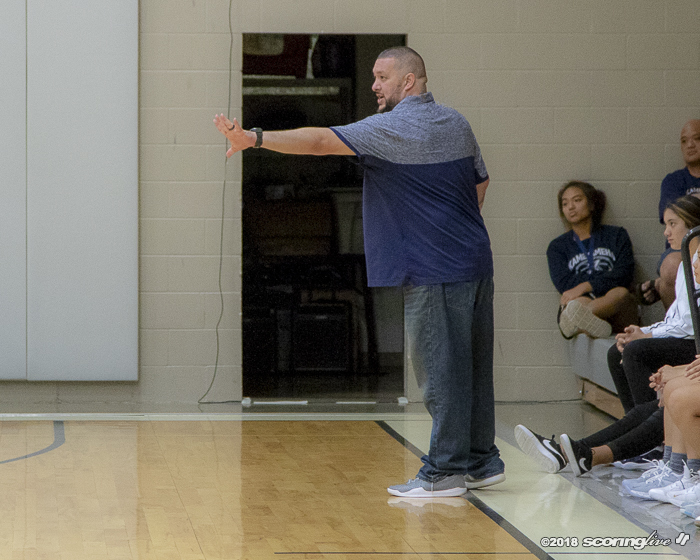 "We knew that (Imai) was one of the players that we had to try to focus on defensively and I thought we did a pretty good job until we got a little bit complacent in the second half and dropped into a zone; We kind of killed our own momentum at that point," Young said. Lui-Cabinatan scored 11 points on 5-of-6 shooting and had four steals in the loss. Waiakea shot 21 of 53 from the field (39.6 percent), but only 9 of 19 from the free-throw line (47.3 percent). 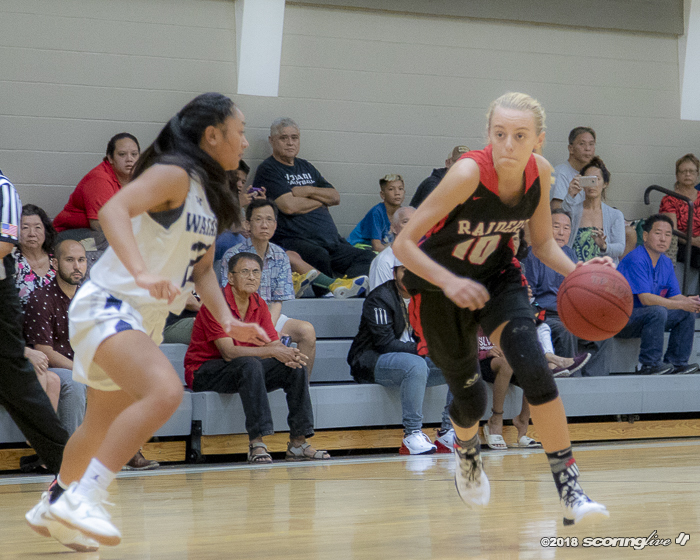 Iolani scored 25 points off of 25 Warriors' turnovers and registered 21 steals and 17 assists. 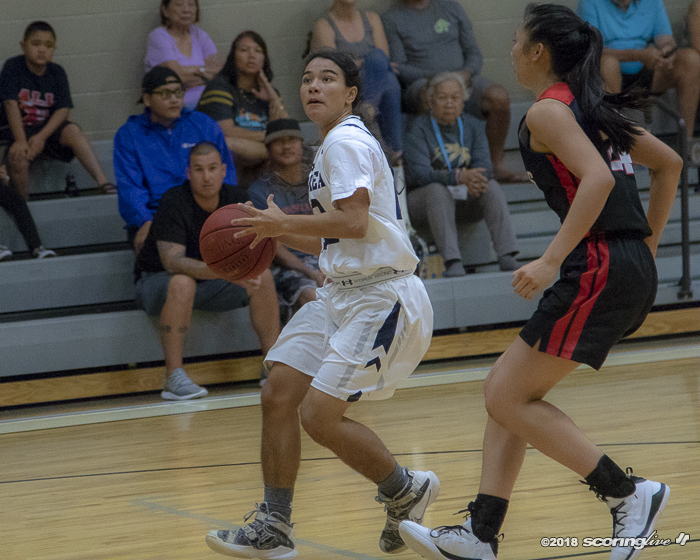 Young said he values the opportunity to play a neighbor island team the caliber of Waiakea, which is coming off a state tournament appearance. 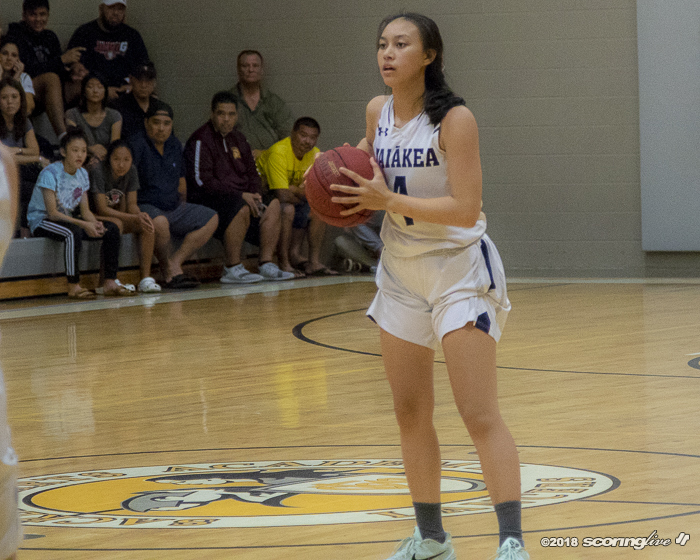 "We knew we were going to face a very tough, physical, hard-nosed, tough-pressing team and the way Waiakea battles shows how tough they are and how well coached they are, so it's a great experience for us to be able to play against them," Young said. Sacred Hearts posted a 21-point win over Kaimuki in the other semifinal Friday, but because the Lancers and Raiders are both Interscholastic League of Honolulu Division-I members — in fact, Iolani beat Sacred Hearts by 34 in the league opener Monday night — they will not meet for the tournament title Saturday. 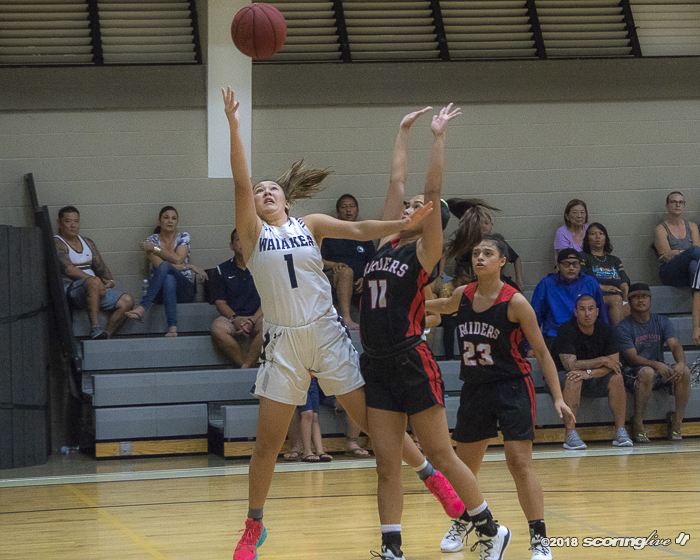 Instead, Iolani will play Kaimuki at 1:30 p.m. and Sacred Hearts will face Waiakea at 3 p.m. The Warriors were playing their fifth game in three days. They are also taking part in the Kaiser Preseason Showdown.